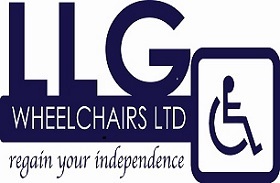 LLG Wheelchairs Ltd - Mobility based in Leigh, Lancashire. Family owned and run mobility specialist established for over 30 years supplying scooters, wheelchairs, rise and recline chairs, stair lifts and anything in-between down to small household mobility aids for the disabled. We also carry out all aspects of servicing and repairs to your mobility scooters, powerchairs and wheelchairs to keep you on the move. Our servicing facilities and after sales customer care is second to none.